Dr. Magon Saunders, Sunday School Teacher, Divorce Support Group Facilitator, Author, and Forgiveness Advocate is the Founder and Executive Director of Forgive4 Health Ministries in Stone Mountain, Georgia. A forgiveness researcher, Magon is particularly interested in how forgiveness impacts the health of minorities, especially African Americans. Magon holds a doctoral degree in Health Sciences with a concentration in Global Health. A Registered Dietitian, Magon has extensive experience working with diverse clients to improve their nutritional status and to manage their medical conditions. She has received numerous awards and commendations for her work in Georgia and across our nation, including the 2018 CDC Public Health Impact Award, the 2006 Community Services Award from former Georgia Governor, Sonny Perdue, and the 2006 Georgia Department of Public Health's Community Services Award. Magon is passionate about making a difference, and believes that volunteerism is the best way to "pay it forward". She is a mother and grandmother and resides with her family in Stone Mountain, GA.
Mrs. Stasea Austin, BS, MS, serves as Vice- Chair for Forgive4 Health Ministries and leads the organization activities in the absence of the Founder/ President. Stasea holds a BS in Psychology from Georgia State University and completed coursework for her Masters in School Counseling at Capella University. Stasea currently resides with her family in Irving, TX. I am Sheika Saunders-Warmington. I am honored to be the treasurer for Forgive4 health ministry. I have a B.Sc degree in Business Administration with a concentration in Finance. MBA in Business Administration concentration in Human Resources. I have enjoyed over 7 years of a successful banking career. Despite my love for numbers, my love for people and service supersedes the love for numbers, which explains my current occupation as a Flight Attendant. Outside of my work life, I enjoy spending quality time with my family, traveling, experiencing new cultures and volunteering to advance humanity. Pamela Barnes holds a BS in Sociology, (University of Michigan); a MS in Health and Human Services with a Specialty in Community Services (Capella University); and a MS in Early Childhood Education from Grand Canyon University. Pamela is the Board Secretary for Forgive4 Health Ministries.Pamela Barnes is a mother of three children – Michael, a High School football coach and Rehab Officer; Priscilla, a VSU graduate, is Assistant manager at Finders Keepers Boutique and Media manager for all three stores; and Christopher who serves as Firearms Control in the United States Navy. She has 5 grandchildren – Cheyanne, Derrian, Mikiah, Isaac and Evelyn. She is a retired Paraprofessional from the City Schools of Decatur.Pamela gave her life to the Lord in 1978 and never looked back. She became a member of The Tabernacle in 1995 while under the pastor ship of Roger Brumbalow and worked in the church nursery under Ms. Kathy and is a current and long standing volunteer in the Tabernacle Food Pantry, in addition to being a long`standing member of the Emmaus Community. She came out of retirement and is now in her 2nd year as a teacher at Sand Preschool in Decatur, GA.
Other Team Members include Pastors, Health Coaches, Behavioral Scientists, Registered Dietitians, Nurses, and other Forgiveness Advocates. Call us at 404-500-9200 for more details about our team or to volunteer at our ministry. Forgive for Health Ministries, Inc, exists to help all people to forgive. We offer forgiveness assessments, workshops, conferences, books, courses, and forgiveness circles to empower attendees to forgive those who have transgressed against them. We work with families, couples, dyads, individuals, churches, schools, and work sites, etc., to help individuals to assess their forgiveness levels, and to use that information to start the journey to healing and restoration. Forgive for Health Ministries, Inc and its leaders believe in whole-person care and recognizes the importance of healing the body, mind, soul, and spirit. Incorporated in 2019, Forgive for Health Ministries works with willing individuals to heal their relationships for good. We are committed to using all of our energies to work alongside God to restore health to his people. Forgiveness and its healing benefits has been critical in the life of our founder who has faced abuse, abandonment, and a host of adverse childhood experiences, trauma, and other life altering events. Yet, today, Magon's main desire is to help those who have experienced trauma to come into the light of forgiveness. Vision: People living free of unforgiveness and all its consequences. Mission: Forgive for Health Ministries exists to help individuals to forgive those who transgress against them, so that they can walk in freedom and thrive. Integrity- We are upstanding in all we do and are guided by decency and fairness. Honesty- We are honest, open, and transparent in all of dealings. Love- We strive to show all people the love of Christ. Respect-We respect and listen to every person. Compassion- We show the compassion of Christ to all we meet. Quality- We provide high quality service and work with all excellence as unto Christ. Christian service- We follow Christ leadership in service to all mankind. Value Statement: Healing all relationships for good! To encourage health care providers to assess the forgiveness levels of all patients, and to refer them to appropriate “caring” professionals or ministries. 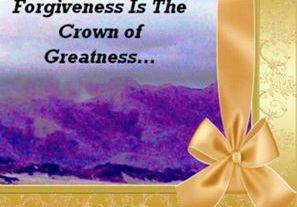 To help all individuals to forgive, so that they can live free from the shackles of unforgiveness. To work to eliminate health inequalities and increase forgiveness in African Americans, and other minorities, so that they can “thrive”. "Can Christian Divorce Support Groups Influence Forgiveness and Health Outcome in Black Divorcees: A Phenomenological Investigation” in the Journal of Divorce and Remarriage. After publishing this article, Magon continued to build her knowledge in this area, but shortly afterwards, she started feeling a call to start a ministry to help people to forgive. Already too busy to take on anything new, and not an ordained minister, Magon tried to resist this call for months and came up with several excuses about why this was not for her. But finally, she surrendered in 2015 and started this ministry as an inter-church program. This has allowed her to take the message of forgiveness across the U.S and the world. Since then, Magon and her team have developed courses, books, and other resources to assist individuals to forgive. In 2018, Forgive for Health Ministries hosted its first annual conference and filed for incorporation in the winter of 2019. The ministry truly aims to help individuals recover from life's trauma and to get them to move into a new life free of the burden of unforgiveness. Call us and let us help to heal all your relationships for good.